Your diesel vehicle should always have a specialist on hand to perform all of its repairs and maintenance. The diesel engine is required to perform in ways that your standard gas-powered vehicle is not. Therefore, the technicians that keep you on the road and fully operational should be fully-trained and up to the task. Mecklenburg Automotive & Collision in Charlotte, NC has a team of experts that are experienced in servicing a variety of diesel vehicles for Chevy, Dodge, Ford, Freightliner, Mercedes Sprinters, and more. We know your diesel engine’s special needs and can design a maintenance schedule that is specific to your purposes. We consider the age of your vehicle, your driving habits, and the manufacturer’s recommendations when performing our services. You may need your diesel vehicle to climb higher, carry more loads, or pull more weight, and we’re the diesel repair specialist to keep you productive. These days diesel engines are not just for trucks. 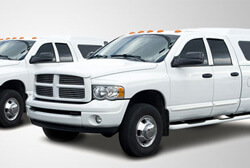 We have the same experience handling your diesel-powered auto. Our diesel engine brand specialties are with International, Isuzu, and Cummins engines. Your diesel engine will need the same maintenance services as your gas-powered engine, but it may need at different intervals. Depending on your driving habits, it may be working harder and accumulating more contaminants that corrupt its performance. The team at Mecklenburg Automotive & Collision will help you determine the proper oil change maintenance schedule that will extend your vehicle’s road-life and preserve its engine. There are many unique and complex service needs for your diesel vehicle, which our technicians are best equipped to guide you through. For instance, your diesel engine uses direct fuel injection unlike a gas-powered engine. To maintain your diesel vehicle’s efficiency and powerful performance you will need a technician that knows what they’re doing. That’s Mecklenburg Automotive & Collision! Our friendly team is waiting for your call, ready to meet any of your diesel repair or maintenance needs. We’ll put you on the path to consistent quality maintenance and keep you there, while keeping off the side of the road.